Is My Online Daily Income a Scam? My Review Uncovers The Truth About It! If you’ve heard about My Online Daily Income claiming to pay it’s members $10k per day, you must be thinking whether it’s really true or just another rip-off like many others. Can a person really make $10K online, in one day? They make these assertions about all this money you can make with their program, but all these claims sound too good to be true. The system seems to be really easy but making money off this system isn’t actually as easy as it looks. You must be extremely careful while looking for chances to make money online because there are a massive number of websites that claim you can earn a nice amount of money on their system but don’t offer you what they promise. The only way to know if My Online Daily Income is a scam or not is to dig in deeper and reach the facts. By the end of this My Online Daily Income review, you will be able to decide for yourself what this system requires you to do if it is a reliable source of income and how it actually works. Read the review to find out if their claims are true or if it’s really just a scam. What Exactly Is My Online Daily Income? After looking further into the system, I’ve found a lot of information about how the users of the system actually earn money from it and in this My Online Daily Income review I’ll also shed light on whether the system is trustworthy or not. UPDATE: Originally when I wrote this review the My Online Daily Income system was tricking it’s visitors to purchasing an expensive program called MOBE, however MOBE has since been shut down by the FTC & now the My Online Daily Income site is selling an old eBook about making money on eBay. Despite the program changing my verdict below still remains the same. My Online Daily Income is apparently a system where you can make $10k in one day. After some time you’ll be a millionaire, and all that money will allegedly be made online! But can you really trust these claims? Or will this turn out to be a scam like many others? My Online Daily Income is not a real system. In order to identify if a system is real, you will need to buy into it and take a look at what lies on the other side. This is the tricky part because you can only see the false claims about products/systems on the internet until you pay for it, and only then you come to know what it really is. Sometimes, what the system claims isn’t true at all, and when you buy into it, you find yourself in a completely different platform or with a substandard product. The video on the website is exactly the same as the video used on several other systems that make similar claims, for example, My Online Business, Find A Job Now, 7 Figure Franchise and many more. It’s hard to know who to trust when working on the internet, but this review will definitely help you decide what to do. How Does My Online Daily Income Work? All these scam systems act as facade for the primary veiled system that they don’t want you to know about. This is the reason why they use different names but the same video for promotion. The claims about earning $10k/day can only be made by high ticket systems. Only these kind of systems can offer you such a generous amount of commission. One of the few high ticket programs (Digital Altitude) was shut down by FTC this year. You will likely be expected to pay thousands of dollars out of your own pocket if you want to make commissions from these products, that use licensing rights models of MOBE. Basically, whenever you buy these products from a high-ticket website, the person behind the website will earn a commission for the sale. Therefore, these products are not cheap. Once you have bought the product, you will be expected to do the same thing to deceive other people into the same scam. You can put this website template on a number of other domains to hoax people into thinking that it’s a platform where you can earn money. You can get the product at a price rate of 2.5 times of what you will earn, for example, if they tell you that you can earn $1,000, that means you will have to pay $2,500. All this detail can also be found on the MOBE Certified Consultant Membership Fees page (which I’ve screen-shotted and placed below this paragraph). These systems push you into using paid advertising in order to get more traffic and audience to your template websites. You’ll have to spend thousands of dollars on advertising because you’ll need to address a large group of people, in which only a few will be able to afford the high prices of these products. The system claims that you will be assisted by a mentor or a coach, but these are merely sales reps who get a commission when you buy the product. I personally am not in favour of this system because you are not creating anything of value, instead, you trick people into buying something to get commission for yourself. The only thing this system allows you to do is pass money around from new members to existing members through these expensive products. High ticket programs are high risk and FTC has already shut down one of them. One day you might find out that all your money just went down the drain. 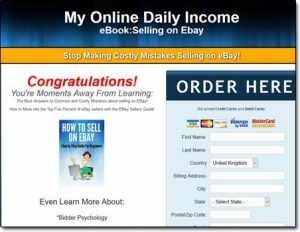 And as I mentioned at the start of this review MOBE (which was being promoted by this My Online Daily Income program) has now also been shut down by the FTC – that’s why the website is now selling an old eBook about making money from eBay instead. My Verdict – Is My Online Daily Income a Scam? My Online Daily Income is definitely a scam. It is not a real system, but a cover up of another system that tricks people into buying their ridiculously expensive products & therefore I won’t be recommending it to you. One person after buying the product can use multiple domains to talk people into buying the overly priced product and receive commissions on every sale. There are a number of cover up systems for the same product (some of which I talked about earlier in this review), and these high ticket programs in general are a very “tricky” business. After reading all the claims and seeing the reality of the system, I would certainly not recommend anyone to use this system because as far as I’m concerned the My Online Daily Income Scam rumours are indeed true! If you were hoping to make money with it you don’t have to be disheartened though because there are plenty of legitimate programs that will actually help you make money online, such as Wealthy Affiliate for example which is actually one of my all-time top recommended programs. Is Passive Paychecks a Scam? Read My Honest Review Before Joining! 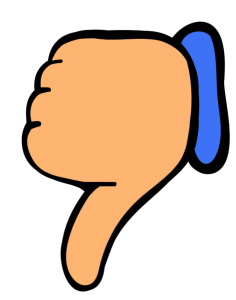 Is BKA Content a Scam? Read My Review Before Getting Started With Them!